land grant in South Texas. In 1829 her father, who had been a candle maker in Ireland became a rancher in the McMullen and McGloin Colony on the prairie outside San Patricio. Stories vary about how Margaret’s father died—either by an Indian attack or by Mexican soldiers in the lead up to the Texas Revolution. Another story claims that at the outbreak of the war, Margaret’s mother fled with her four children to the presidio at Goliad, and they were spared the massacre because they were so fluent in Spanish that they were thought to be Mexicans. I suppose that story must be true since I know of no record of women and children (Texan or Mexican) being massacred at Goliad. Margaret partnered with her husband in the ranching business; however, 1867 proved to be another year of tragedy. Alexander Borland died in the spring while on a trip to New Orleans. Later that year a dreadful yellow fever epidemic that swept inland from the Texas coast, killed thousands, including four of Margaret’s children and one infant grandson. Collection of Library of Congress on deposit at Amon Carter Museum of American Art, Fort Worth. 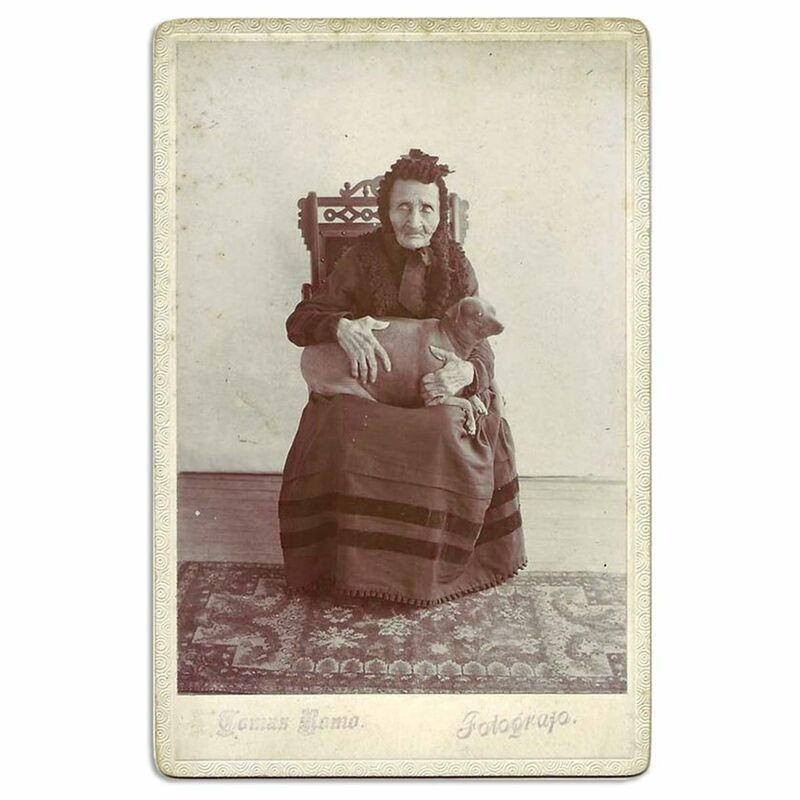 Although at least four women are known as “Cattle Queens” for having taken the cattle trail, it is thought that Margaret Heffernan Borland was the only woman to ride the trail without being accompanied by her husband. Part of the fun of writing a weekly Texas history blog is discovering a story that jumps up unexpectedly. While researching Panna Maria, the oldest permanent Polish settlement in the United States, I read an account claiming that an Irishman named John Twohig (love that name) in 1854 sold the original 238 acres for the town site to the Polish colonists “at an inflated price,” only the first of many unfortunate experiences to befall the struggling immigrants. I had to find out who the Irishman was that gouged the Poles. In addition to an article on the Texas State Historical Association site, I found a story published by the University of Incarnate Word, and a piece printed in 1913 in the Invincible, A Magazine of History that disclosed a very different character from the fellow who gouged a bunch of impoverished Polish immigrants. John Twohig ran away from his Cork County Ireland home at fifteen and apprenticed on a British merchant ship sailing between New Orleans and Boston. Lured by the financial prospects of Texas, Twohig carried a stock of goods to San Antonio in 1830 and opened a mercantile business. 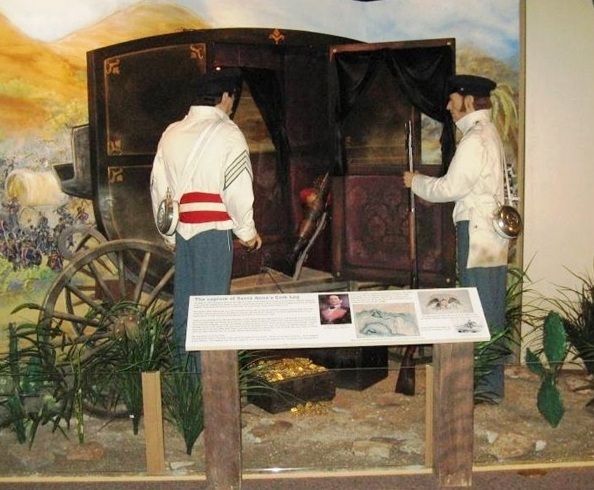 He took part in the Siege of Bexar, the two-month-long fight in the fall of 1835 that resulted in Texans driving the Mexicans out of San Antonio. There is no record of him joining the forces in the Alamo before it fell in March 1836. However, in September 1842 when Twohig heard that the Mexican army was on its way to occupy the city for a second time that year, he invited the poor to take what they wanted from his store. Then he blew up the building to keep the Mexicans from getting the gunpowder and other supplies. Apparently in retaliation for the act, Twohig was captured with about fifty other San Antonians and marched to Perote Castle, the dreaded prison near Vera Cruz. In July 1843, Twohig and about a dozen prisoners dug a tunnel and escaped. One account says he walked through Vera Cruz to the docks disguised as a peddler and boarded a ship for New Orleans. Calvert of Seguin and began enlarging his home on the San Antonio River. The couple built several guesthouses along the river and held lavish dinners for such notables as Sam Houston, Ulysses S. Grant, and their good friend Robert E. Lee. On February 18, 1861, as Texas prepared to secede from the Union, Lee had dinner with the Twohigs and wrote the following day thanking them for their hospitality and expressing regret that he had to leave under such sad circumstances. A devout Catholic, Twohig was known for giving money to anyone in need, especially the Brothers of the Society of Mary who came from France to start a school. 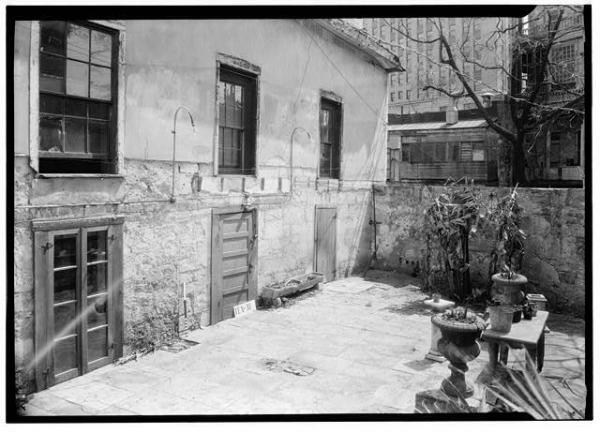 In addition to financial help, Twohig advised the Brothers to build their St. Mary’s Institute on the San Antonio River. The school developed into St. Mary’s University. He served as godfather for two or three generations of children, several of whom recalled receiving a gold piece every time they saw him. Pensioners knew that they could go to his bank at closing time every Saturday afternoon, and Twohig would always draw from his own pocket a gift of money. The Sisters of Charity built an orphanage in San Antonio and relied on Twohig for support. An eccentric jokester, he often “fined” his wealthy friends who would later receive a note from the orphanage thanking them for their gift. He became known as the “Breadline Banker” because on Saturdays the poor women of San Antonio gathered at his house to receive loaves of bread, which arrived by the barrel. Twohig’s sister Miss Kate had moved from a convent in New York to live with the couple. Bettie Twohig and Miss Kate passed out the loaves of bread, keeping track of how much bread they distributed by dropping beans or matches into a tumbler. 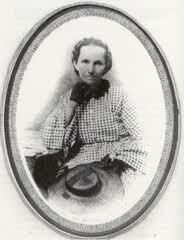 After Bettie Twohig died, Miss Kate stayed with her brother, maintained his house, and continued distributing the bread. By 1870 when Twohig had moved exclusively into banking, with connections all over the United States and London, he was ranked as one of the 100 wealthiest men in Texas. His real property was estimated at $90,000 and personal property estimated at an additional $50,000. At the time of his death in 1891, his estate was valued at half a million. He left his house to his sister Kate until her death and the remainder to the Catholic Church. Miss Kate continued after her brother’s death to give away the bread. The Twohig house, which sat across the San Antonio River from his bank, deteriorated over the years. 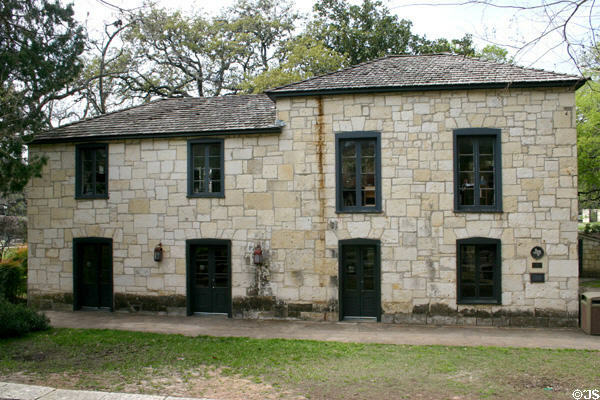 In 1941, the Witte Museum moved each stone of the Twohig house to its campus and carefully reconstructed it for use as staff offices and for special events. Chasing down the story of John Twohig has proved to be an interesting rabbit trail. It’s time to get back to checking on those Polish immigrants. Margaret partnered with her husband in the ranching business; however 1867 proved to be another year of tragedy. Alexander Borland died in the spring while on a trip to New Orleans. Later that year a dreadful yellow fever epidemic that swept inland from the Texas coast, killed thousands, including four of Margaret’s children and one infant grandson. As the sole owner of the Borland ranch, Margaret managed its operations and enlarged her holdings to more than 10,000 cattle. The Chisholm Trail had proved so profitable that in the spring of 1873 Margaret led a cattle drive of about 2,500 head from Victoria to Wichita, Kansas. She took a group of trail hands, two sons who were both under fifteen, a seven-year-old daughter, and an even younger granddaughter. After reaching Wichita, Margaret became ill with what has been called both “trail fever” and “congestion of the brain.” She died on July 5, 1873, before she had time to sell her cattle.